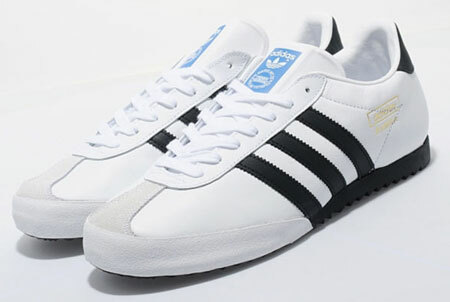 A common sight back in the 1970s, the Adidas Bamba trainers are less common now, so a reissue is nice to see. 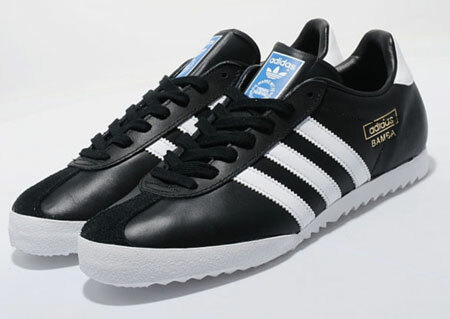 Designed as an all-rounder and as a football shoe for hard ground, this offshoot of the classic Samba is back in a white leather version with black detailing, as well as a black leather with white detailing. 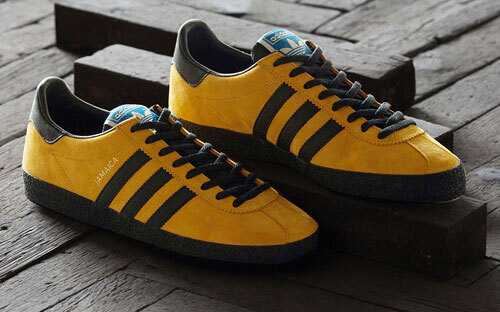 Both have a suede toe panel, gold ‘Bamba’ detailing to the side and a rugged sole. 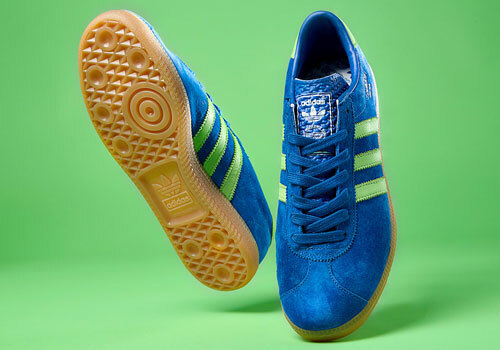 £62 gets you a pair in either colour.